We have heavenly hideaways in the world’s most incredible places for the best vacations ever. Situated beside national parks, rainforests, pristine tropical beaches, fairways of distinction, majestic alpine mountains with Olympic ski runs, protected reefs or famous ruins… Club Med guaranties the best exotic vacations -- each resort is unique — each experience is unforgettable. ​River cruising with a unique room design giving you more room and a bed that faces the window. With cruises throughout the rivers of Europe as well as Asia, South America and Africa. Cosmos offer savvy, value-minded travelers the most affordable land tour packages to the world's most captivating places. Travel to Europe, North America, South America, the Middle East and Africa. Globus is a moderately priced tour company that provides you those extras such as bypassing the waiting lines at attractions. You can relax and enjoy the company of your fellow travelers while your destination will be brought to life by expert Tour Directors who will share those stories and their intimate knowledge of every location and landmark. Globus offers a broad range of European vacations as well as Asia, Africa, Cuba, the Middle East, North America, South America, the South Pacific and Religious vacations. ​​A luxury, boutique river cruise company that has cruises throughout Europe and Russia as well as India, China, Vietnam & Cambodia and Egypt. Customized golf travel programs for 2-100 guests for individuals, private groups, country clubs, corporate groups or associations. 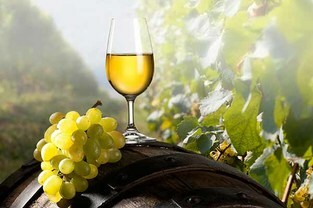 Customized and personalized wine country adventures in the world's most prestigious wine regions of France, Germany, Italy, Spain, Portugal, Argentina, Chile, South Africa, Australia and New Zealand. ​Imagine being introduced to local chefs, artisanal producers, time-honored culinary traditions, street vendors and Michelin-starred restaurants. Go inside family farms, fruit orchards, food markets, vineyards and wineries, bakeries, gourmet groceries, and kitchens that help you hone your own cooking skills. Countries: Australia, France, Italy, South Africa, Spain, Turkey, United States.